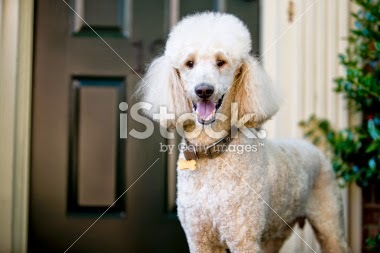 During the process I had an inkling that there might be a problem when the hair stylist began to run low on perm rods. However, my friends and I were so busy talking, and laughing that I didn't give it another thought. At the end of my transformation the hair stylist took out all of the rods, put on her finishing touches of spritz and fluff, then turned me to face myself in the mirror. I was stunned. We were all stunned. The hair stylist in a good way, my friends and I, not so much. What... exactly... happened to my hair?! My hair had transformed from looking straight and long to, well, a big pile of curly poo!!! There was an upside-down triangle of curls on the top of my head.